Construction work zones can be hazardous not just for those who drive through them, but also for those who build and repair our roadways, bridges and highways. Keeping a work zone safe for motorists is just one responsibility of those managing the site; keeping those doing the work safe is another. Construction zone workers are just as likely to be struck by construction or maintenance related equipment (dump trucks, bulldozers, graders) as by cars, tractor-trailers, or other vehicles. Any of these hazards can cause an accident. Fault may lie with the government entities who maintain our roads and highways. Or it may lie with the contractors that work on our roadways for failing to follow the rules or for an inappropriately designed highway. Or it may lie with your employer for not following OSHA regulations for maintaining a safe workplace. Our goal is simple: helping you and your family put your lives back together. That means our lawyers are focused on obtaining a full financial recovery for you, looking at all possible sources of compensation. In construction work zone accidents, you want a Kansas City personal injury lawyer who is prepared to invest the resources needed to investigate your accident. Contact us for a free, no-obligation evaluation of your case today. Construction Work Zone Safety for Motorists & Workers. Road construction is a necessary evil to maintain our roadways and keep them safe. 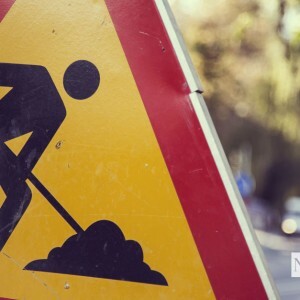 However, it can also be very frustrating when you come up on construction work zones you didn’t expect as you’re driving to your destination, especially if there are detours you have to contend with. Read the Full Post.